US President Donald Trump on immigration issue. Trump's hardline approach regarding the matter has increase strains and exasperated Mexicans, who he beforehand asserted would pay for the development of a divider between the two nations. 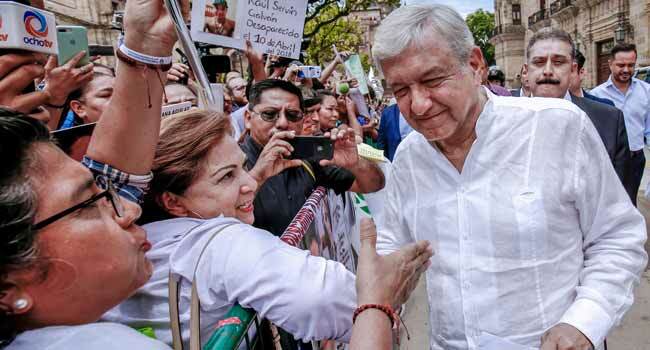 But the leftist Lopez Obrador told reporters in the border state of Sonora on Saturday that angry exchanges were not the answer. “We are not going to fight with the US government, we are not going to fight with President Donald Trump,” he said. “The migration problem is not resolved by building walls or by use of force, but it’s a diplomatic job of respect,” added Lopez Obrador, who takes office on December 1.